While a lot of women do enjoy cute pink or sparkly gadgets, the color is just one aspect of what they really look for. Many women search for technology that is practical, useful, and relevant to their interests—stylish is a plus, too. 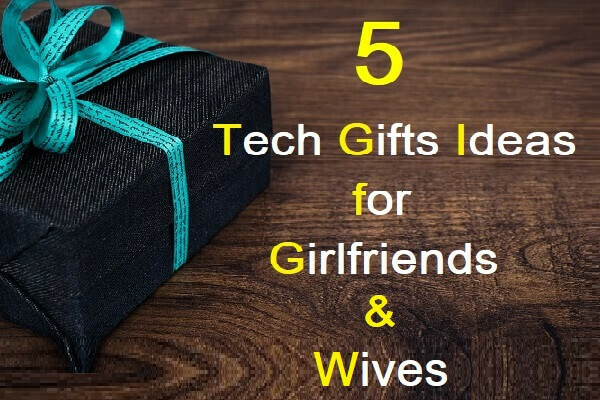 Finding that perfect gift for your girlfriend or wife will depend on a lot on her hobbies, passions, or lifestyle, but here are some great starter ideas that are popular with a lot of women. This piece of smart jewelry is perfect for a woman because it is made for women. It monitors a variety of things throughout the day, including reproductive health, activity, meditation, and sleep. It can even help you deal with stress through the built-in breathing exercises. This high-tech health tracking system with reminders and insights, vibrating if you’re working too hard or if you should get moving. Some data, like weightlifting, yoga, and monthly cycles must be entered manually. It does, however, track distance moved, steps, and calories burned. It even calculates your stress sensitivity by looking at all of the data it collects as you wear it. It can be worn as a necklace, bracelet, or broach, and it has no buttons or screens. Just wear it during the day and sync it at night. The main thing which sets the Fitbit Flex 2 apart from other Fitbits is the fact that it is waterproof. If your girlfriend likes to swim or enjoys water sports, the Fitbit Flex 2 might be exactly what she needs. In fact, it can track regular workouts like biking, walking, and running, and now even swimming. It doesn’t track heart rate or have a screen, but all of the other fitness data you want will be recorded as usual. Another great thing about the Fitbit Flex 2 is how customizable it is. She can switch out different wristbands or even put it into a necklace. It is stylish yet discreet. Fitbit Flex 2 comes with an auto sleep tracking feature. It tracks your sleep quality and helps you to improve your slumber. If your girlfriend or wife has trouble sleeping she could benefit from Fitbit Flex 2 or similar sleep helping devices. Does she enjoy essential oils or has she expressed some interest in them? One reason this product is so cool is that it packs a few useful functions all in one. This oil diffuser doubles as a humidifier and features a Bluetooth speaker and even a clock. Technology and essential oil diffuser meet in the ArtNaturals Essential Oil Diffuser Speaker. If your girlfriend needs to de-stress and unwind this gadget will help her listen to calming music while at the same time enjoying the benefits of essential oils. It even has a soft LED light that can be set to on fixed color, or it can cycle through the seven colors available, which are: red, yellow, purple, blue, clear, orange, and green. The clock on the ArtNaturals Essential Oil Diffuser Speaker displays not just the time but also has an alarm. This is an ideal gadget for makeup enthusiasts. As your girlfriend or wife gets ready for her day or plans for a night out, she can do her makeup easily with the use of the Impressions Vanity Touch Pro LED and Bluetooth Mirror. Not only will doing her makeup be easy thanks to the lighting and quality of this mirror, but she can also play music with Wireless Bluetooth audio, talk to her friends through the speakerphone, and charge her phone all at the same time. This tilt mirror features a 360-degree swivel and daylight bright LEDs to illuminate her face. It also features a rechargeable battery, it is portable and cordless so she can take it on the go, and it has a high- gloss coating. What better gift than to make it, so she never has to vacuum again? The Coral One is a versatile vacuum robot that will keep the floors spot-free, but it also has the option of transforming into a handheld in case you have to deal with any hard-to-reach places. The battery on The Coral One can last up to 90 minutes, or 70 if it’s being used as a handheld. It features powerful suction as well as motorized brushes. With privacy navigation, it can map the layout of your home without uploading any of that information to the cloud. After cleaning the robot goes straight to the dock and recharges itself automatically, so you really don’t have to do anything. It even reduces allergens!